In 2014, Powder Magazine called Cody Townsend’s ski descent of something known as “The Crack,” a six-foot-wide, needle-thin couloir on a peak in the Tordrillo Mountains of Southwest Alaska, The Line of the Year. Skiing Magazine called the long, 60-degree couloir “the most insane ski line ever,” and the footage of Townsend’s descent, captured in the film “Days of My Youth,” has received over 50 million hits on social media. When Townsend shot through the feature, he clocked in at 70 miles per hour. Townsend is the speaker for this year’s Eastern Sierra Avalanche Association (ESAC) fundraiser, on Saturday, December 2. Townsend grew up in Santa Cruz, but skied in the Mighty Mites program at Squaw Valley starting at age two. When he was 15, he started following free skiing pioneers Scott Gaffney, JT Holmes, and Shane McConkey around his home mountain. “I just followed them around for a good year and tried to keep up. They didn’t even know who I was. 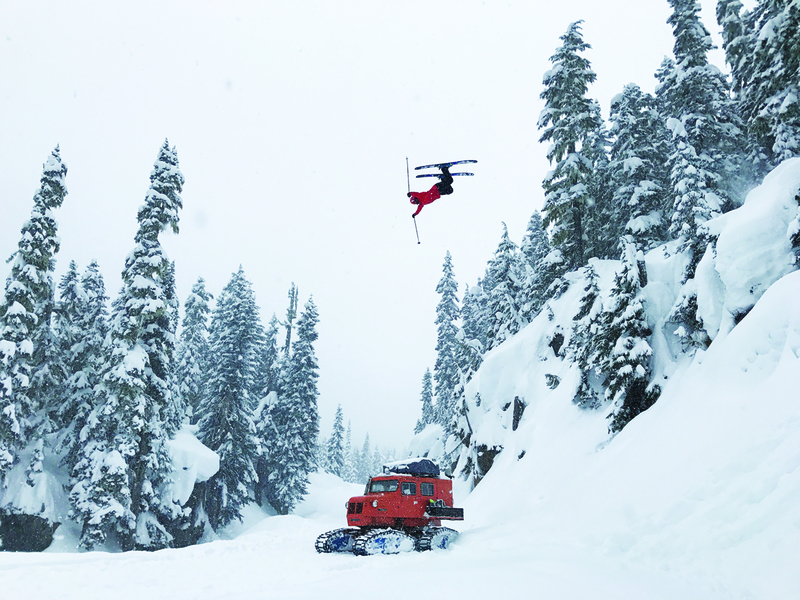 I’m sure they were like, ‘who’s this kid?’” Eventually the crew invited him to ski with them, and Townsend started dropping cliffs, doing aerial tricks, and doing his best to keep up in the side and backcountry. “I’m still star-struck about it, all these years later,” reflected Townsend, who remained friends with McConkey until his death in a base-jumping accident in 2009. In his 17 years of professional skiing, Townsend has seen a lot of tragedy. He told John O’Connor of the blog “Gear Patrol” that, by age 32, he had lost 13 friends to skiing accidents. Townsend said having a good partner is one of the most important parts of backcountry skiing. “Look for a shared risk quotient, and try to find someone who shares the same goal to make better decisions… Having someone who is willing to back down with you is important,” said Townsend. On Saturday, Townsend will speak about how he manages the risks associated with performing in a big-mountain environment. He’ll also talk about how he transitioned from being a recreational skier to being a professional skier. His advice to aspiring professional skiers: learn a trade. “The side-hustle is key in a mountain town. I bartended and waited tables for about 10 years,” said Townsend. According to ESAC President Nate Greenberg, Townsend is part of an emerging trend, where professional, extreme mountain athletes are starting to talk about how they calculate risk in the backcountry. “It is refreshing to hear an athlete of his caliber speaking in such a very introspective and thoughtful manner about decision making,” said Greenberg. Townsend’s presentation will start at 7 p.m. on Saturday, December 2, at Mammoth Mountain Ski Area’s Eagle Lodge. Doors open at 6 p.m. for a raffle, silent auction, and appetizers. Tickets are $20. Proceeds will support avalanche forecasting 7 days a week for the first time in the Eastern Sierra.